Prestige Yachts 38 S uit 2008 te koop op BotenBank.nl. inventory, generator Onan, airconditioning in all cabins, Webasto diesle heating in all cabins, new upoholstery in cockpit and aft lounge, electric hydraulic gangway in letterbox, 2x LCD TV, Rayamrine plotter, raymarine radar, raymarine VHF, electric bowthruster. Call us for more information and an appointment. Airconditioning: Cruisair Airconditioning In All Cabins. 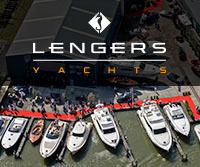 Goedendag, Ik heb interesse in uw advertentie Prestige Yachts 38 S. Kunt u contact met mij opnemen.